India Independence Day celebrating even by the Google Doodle on August 15th, Tuesday. 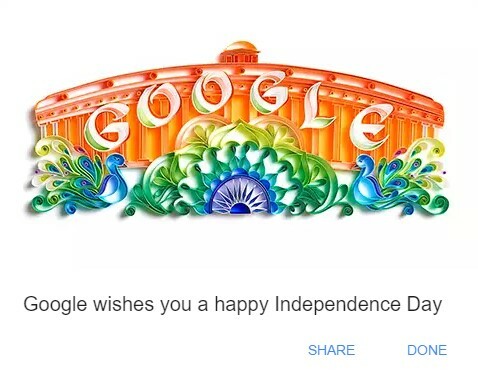 On this 71st Independence day of India, the giant of search engine Google is also being a part of the celebration by the artistic doodle which is displaying on the Google.co.in homepage. In this new Google doodle, it showing the Indian Parliament house along with the word Google. 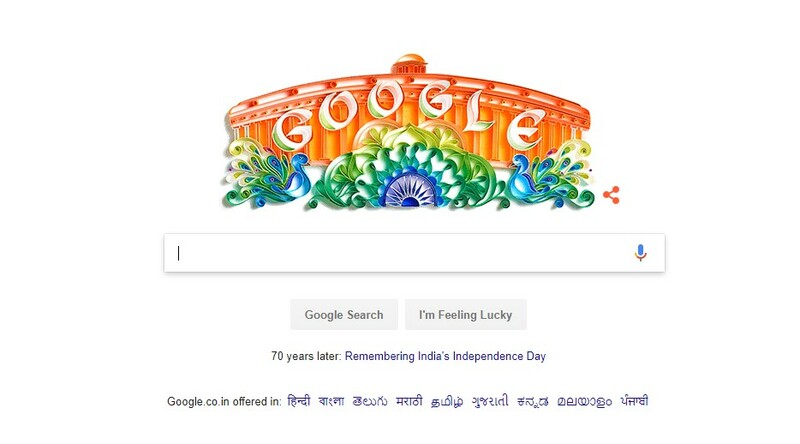 On the both side (Right and Left), the Indian national bird peacock appeared, a symbolic wheel for the Ashok Chakra in the center and all submerged in shades of saffron, green, white and blue are there in the doodle. See the work that how this doodle happened on Google Doodle. This special Independence day doodle has designed by the Mumbai-based artist Sabeena Karnik, who also created this awesome doodle. Also, Google provided a link in the homepage which direct to the story of Independence day celebration in 1947 with images. Tryst with Destiny is the last Independence day doodle by Google, which is the speech of India’s first Prime Minister Jawaharlal Nehru. 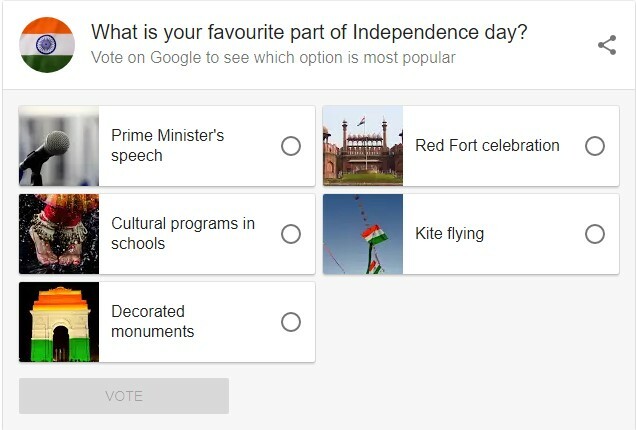 Google also asking the people of India to vote on “What is your favourite part of Independence day?” It contains five titles as Prime Minister’s speech, Cultural programs in schools, Red Fort celebration, Kite flying, and Decorated monuments. Also, it showing the result after your votes. As per the picture, totally 39 thousand votes as of 09:00 am. 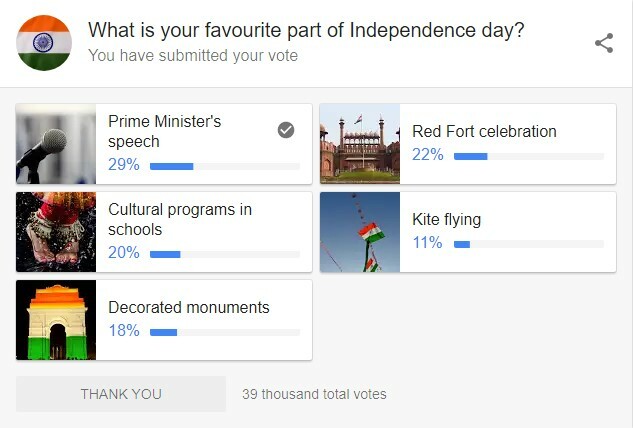 Also, Google wishes a happy Independence day for those who all voted. Happy Independence day to all Indian people once again.